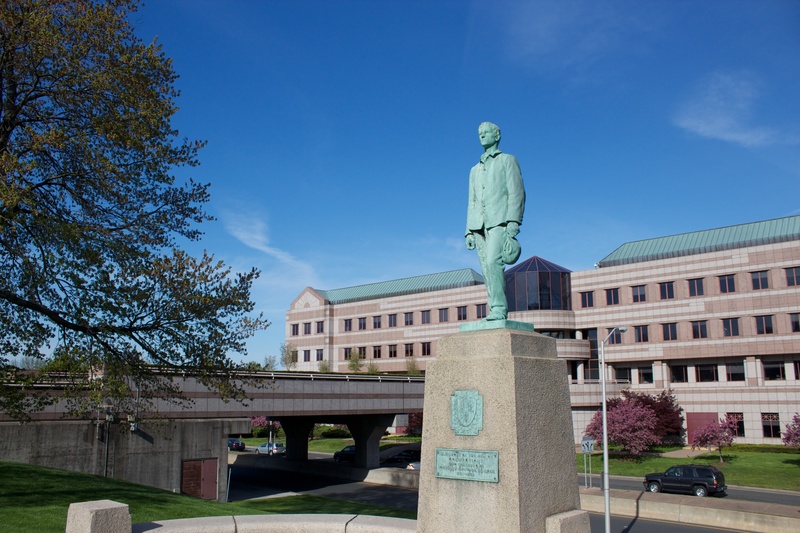 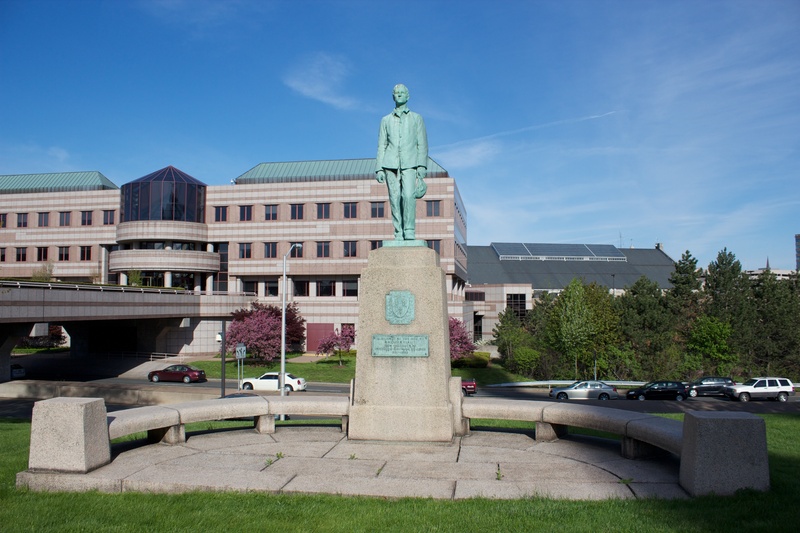 Connecticut honors Civil War veterans held in Confederate prisoner of war camps with a statue on the grounds of the state capitol. 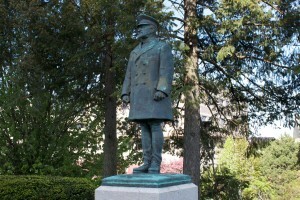 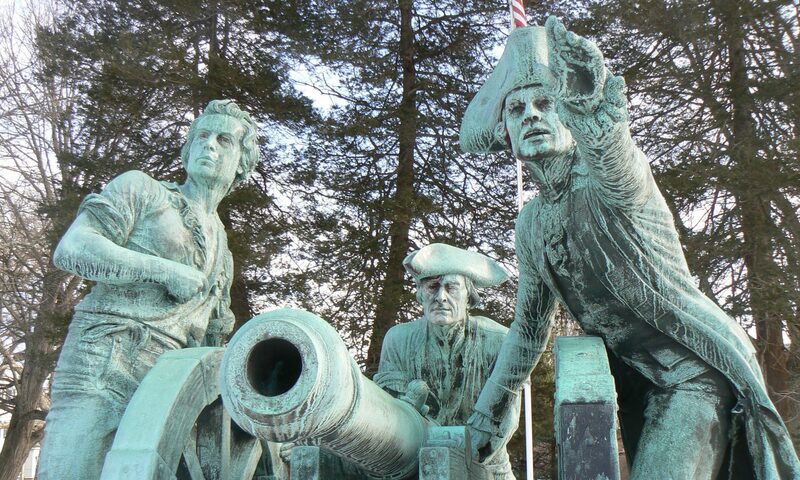 The monument depicts a young soldier wearing a simple frock coat and holding a hat in his left hand. 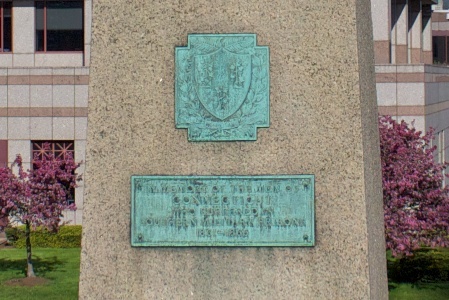 The monument was created by sculptor Bela Pratt, whose other works include a notable statue of Nathan Hale on the Yale campus in New Haven. 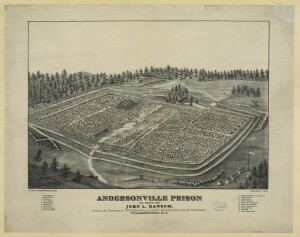 The Hartford statue is a copy of a monument dedicated at the same time at the site of the Andersonville prison camp in Georgia. During the war, nearly 13,000 of the 45,000 Union prisoners held at the camp died from disease and malnutrition. 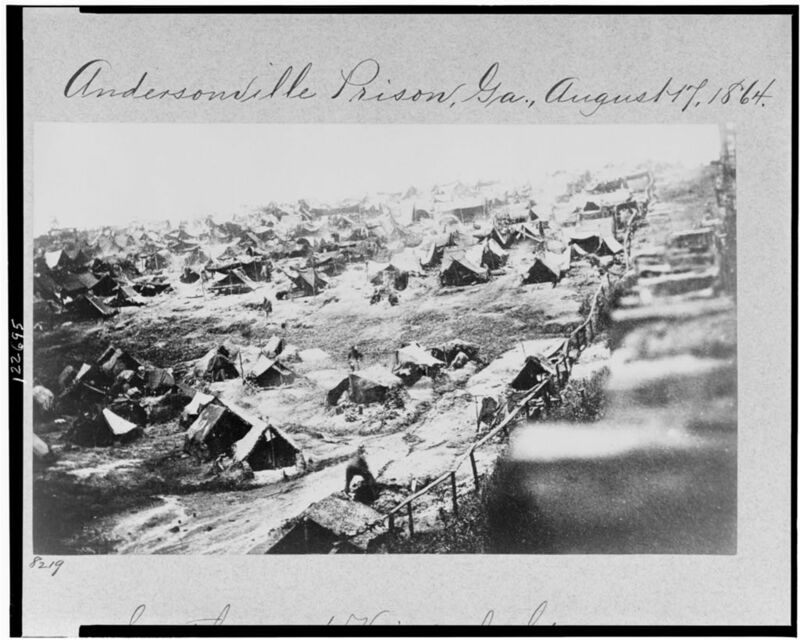 The camp was known for overcrowding and poor sanitary conditions. 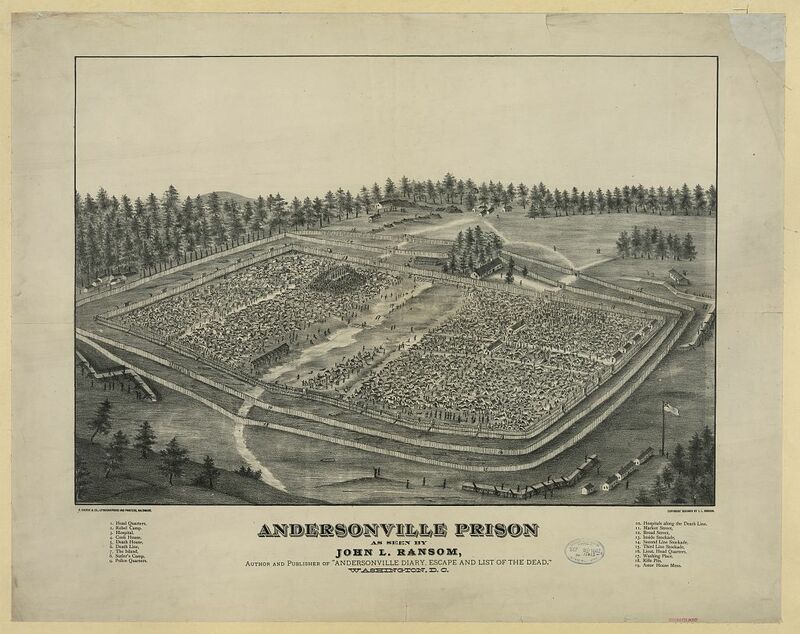 The illustrations depicting the prison camp are from the Library of Congress. 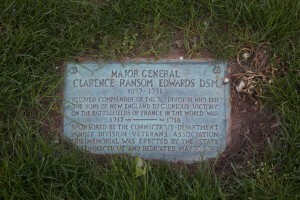 A monument in Norwich’s Yantic Cemetery honors Civil War veterans from the city who died at Andersonville. 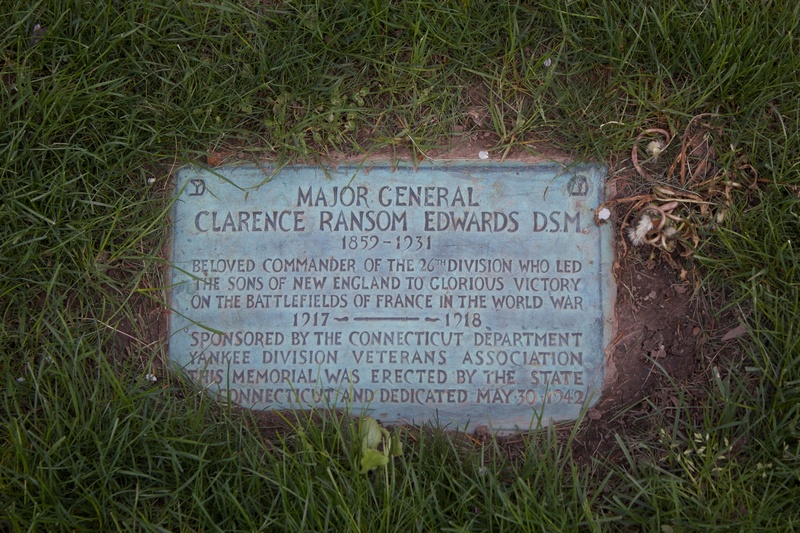 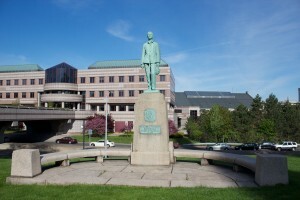 Next to the Andersonville Boy monument is a statue honoring Clarence Ransom Edwards, an Ohio native who commanded a World War I division comprised of National Guard troops from New England states. 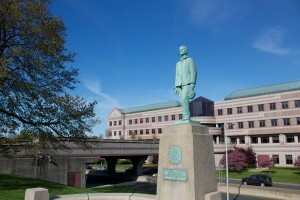 The Edwards memorial, dedicated in 1942, was created by sculptor George H. Snowden.